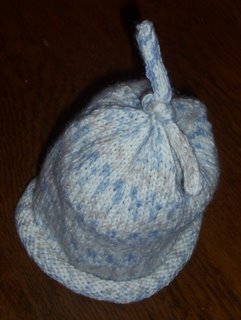 Here is a sweet little hat I made for a church friend who is expecting a baby boy any day now. 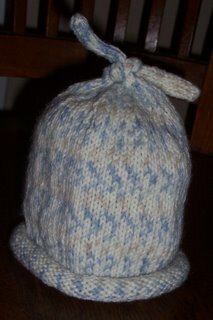 I made it with the same Sirdar Snuggly Fair Isle that I used to make Kara's baby boy hat. I like the little double I-cord on the top, never done one with 2 on top! Also for your viewing pleasure is the "Sweet Pea Purse" complete with button, snap closures and stuffed with a little gift wrap tissue. 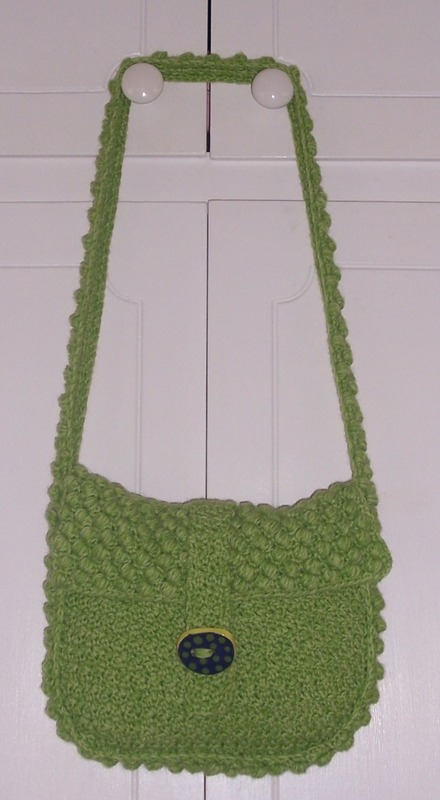 I love how the green dots on the button echoes the bobbles on the flap and strap. I also appreciate that the buttons were hand made and are not perfectly symmetrical. It looks a little crooked on the bag but it's just where the button artist placed the holes. Handmade is truly unique.